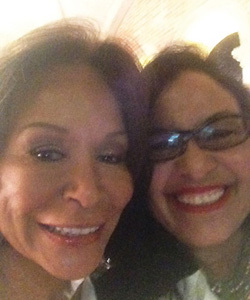 Freda Payne: I never had the privilege to meet Nelson Mandela — but the way I feel about him, I feel that I have. Mr. Mandela was such a great force, and icon in his own right. Such a warrior and one of God’s ambassadors. Nelson Mandela was truly anointed and a delivered person. 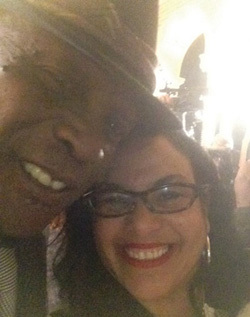 Lou Gossett Jr.: Nelson Mandela changed my life. Some in the United States have an arrogance sometimes. Mandela told me about apartheid when I went to South Africa. You wonder why he didn’t have resentment and go after his oppressors. I spent 20 minutes talking to Mandela, and he kept smiling at me until I finished each sentence. Then he told me that there was a bigger picture, and all of my stuff to complain about disappeared. I was about to die with anger and resentment for what was taking place at the time in South Africa, and I realized that nothing happened to me that could compare to what happened to Nelson Mandela. Nelson Mandela inspired me to start my Eracism Foundation. Racism is not just black and white. It’s internal; it’s been there so long, it’s in our DNA and we need to make the buck stop here. We have a world to save, and some children to re-educate, and it’s hard for us because it’s been there for generations. Let’s be sure we don’t plant any bad seeds in the children and be more compassionate. 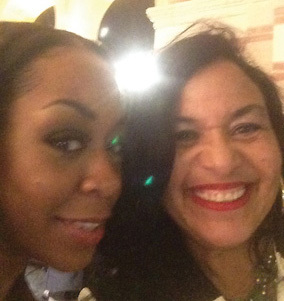 Tichina Arnold: Mandela lived a very long and hard life. He changed a lot of things in the world. It’s wonderful that we have had the experience to watch his legacy of strength and resilience. His journey teaches us all. What he went through would have broken most men. I also give credit to his wife at the time, Winnie Mandela, because she was the woman by his side. God bless the entire Mandela family. 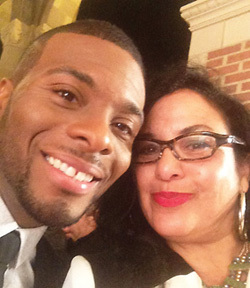 Kel Mitchell: Mr. Mandela was strong in his beliefs, and he taught us that you have to stand up for what you believe. It’s a tragedy that he passed, but more young people are now looking into his history to gain a better understanding of who he was and what he accomplished. I am a man of faith, and I encourage other young people to get God in their lives and know that they have a higher purpose. Many of our young men and women need to be reminded that they are loved — because many might feel unloved at times, which might lead them to gain attention for negative acts. Our young people need to be reminded that they are loved and are a gift to the world. I know Mr. Mandela was about love. 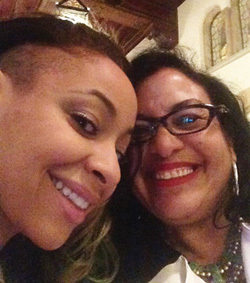 Raven Symone celebrates the life of Nelson Mandela, with love for all.